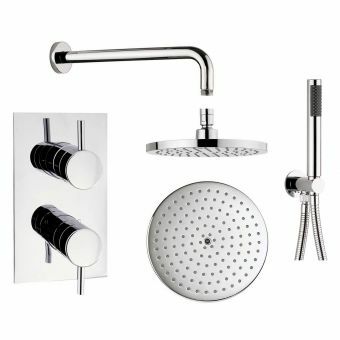 From the timeless look of Edwardian brassware to cool, modern chrome and glass, our selection of shower accessories can complete your shower suite to the last detail. 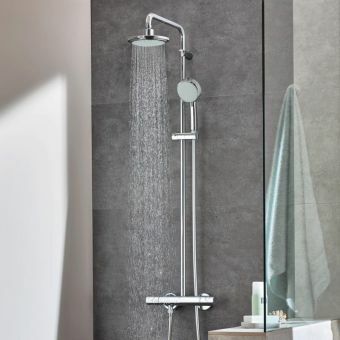 This may give you some inspiration for your new bathroom, the latest in design and shower styling from renowned bathrooms manufacturer Crosswater. Supplied as a complete package, everything you need to install and create a fabulous showering experience in one box. Choose a single handset or an additional overhead drench. You can even use a remote control! Selecting a complete shower kit is a convenient and effective means to get up and running as quickly as possible, with a wide variety of options, arrangements and price points from which to choose. 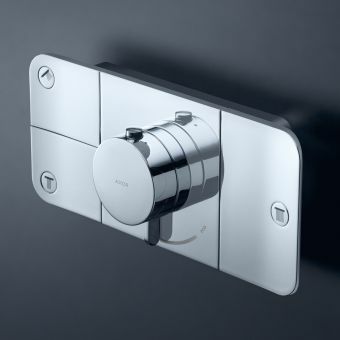 Affording total control over your shower experience is our range of shower valves, available in concealed or exposed forms, with cutting edge, digital options offered for the living space that is modern in every possible aspect. Single or twin drench head showering solutions all controlled digitally to maintain a preset water temperature. 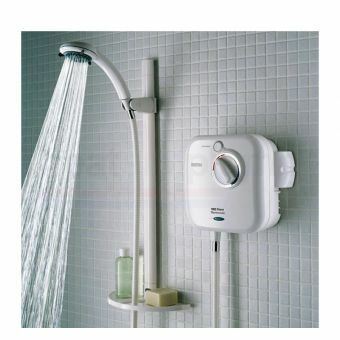 The shower kits can be paired with a matching remote control. Free DeliveryBathroom Brands Contemporary Dual Outlet Digital Bath & Shower ValveFrom £455.00 inc.VATRRP: £700.01 (Save 35%)Low and high-pressure versions to suit any installation. For a bath filler and shower. 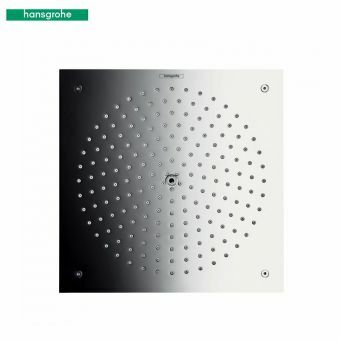 Whether looking for a fixed, overhead shower rose or a useful secondary handset, our range of shower heads brings together a select line of options, ranging from entry level affordability to grand statements of luxury. Add a useful additional shower handset to your shower suite to expand its versatility, or bring handy rinsing options to the bathtub with a deck mounted handset. Hansgrohe Raindance Select E 120 EcoSmart Hand showerFrom £63.05 inc.VATRRP: £97.00 (Save 35%)Chrome or white spray faceplate, large 120mm head with different spray settings: Rain, RainAir, or WhirlAir . VitrA Sense Baton Handshower£42.90 inc.VATRRP: £66.00 (Save 35%)Baton style handset with wall bracket 1.1m shower hose. 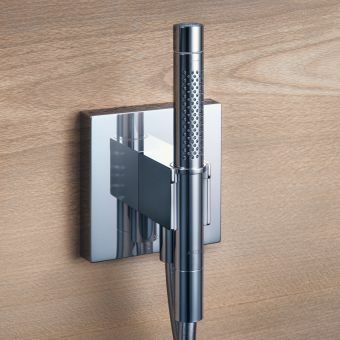 Chrome plated, single function with easy clean nozzle. Hansgrohe Raindance Select S 120 3jet Hand ShowerFrom £63.05 inc.VATRRP: £97.00 (Save 35%)3 spray settings with 125mm head, choose from Hansgrohe's spray patterns: Rain, RainAir, WhirlAir. 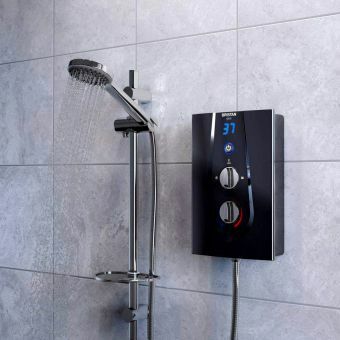 Needing just a cold water feed, the electric shower unit provides all the heat and power required to create an invigorating shower experience every time and opening up design opportunites throughout a propery. Containing a whole host of additional pieces, our range of accessories covers all the bases for flexes, shower elbows, body spray units and accessibility pieces, allowing you to customize your shower area to exactly match your needs. 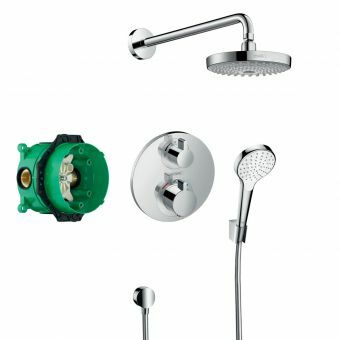 Pulling together everything you need for your shower enclosure, this collection of shower fittings includes everything from shower heads to wastes, from single control valves to complete kits. Demonstrating the design prowess of our specially selected line of suppliers, these shower fittings take numerous shapes, styles and forms. So whether you are after the precision of geometric minimalism, or the flowing timelessness of period features, the right items are bound to be found here. 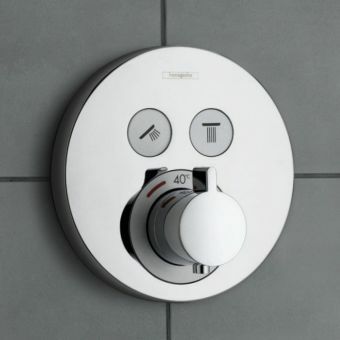 Individual shower components such as shower heads, single handsets and control valves give you ultimate control over the final look and functionality of the shower space. Exposed and concealed shower valves are here to suit your individual tastes, while thermostatic shower valve technology guarantees safety and comfort of every shower. 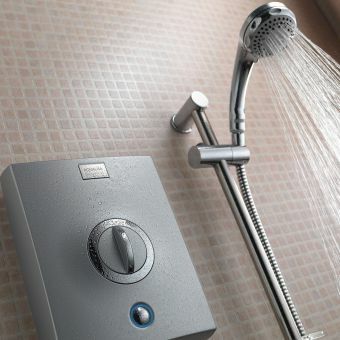 Single, dual and triple shower outlet control valves put easy and intuitive access to your shower at your fingertips. Rendered in contemporary, minimalist, retro or traditional styles, the interior designer will find much to get excited about when approaching a new bathroom project. 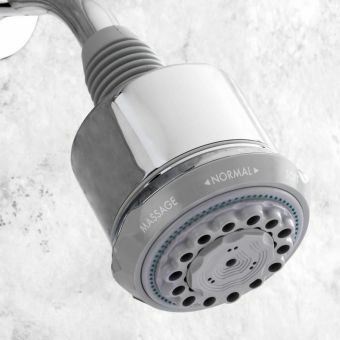 Matching the shower valves to the right outlets is a simple affair, but if you are after the simplest option, then the lines of complete shower kits provides everything you need in one purchase. 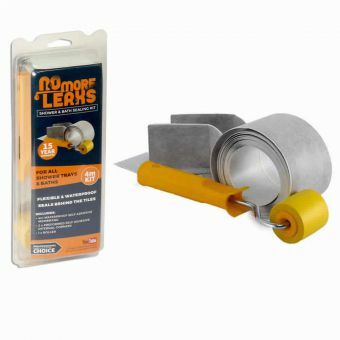 Not to overlook vital details, small but essential extras such as handset holders, shower rails and hose flexes can all be found here to provide spare parts or useful components for your shower refit or new installation. How do I know what shower I need? Choosing the correct shower for your requirements is very important. The terminology used in the industry can often be a little misleading. We have put together this simple guide in order for you to be able to navigate the site more easily so that you get to the correct product. It is more normal now for households to have a pressurized system. There are many names for these which will depend on the boiler you use. Combi, megaflow, vented are just a few terms used. If you are unsure you should call us or consult your plumber. The hot water is either provided from a high pressure hot water cylinder or directly from the Combi boiler. All showers can be used on pressurized systems (see also electric showers). The pressure will vary according to the type of boiler but in general they will work on 2-3bar pressure. This should be constant within the system. The pressure may reduce if there is high demand on the system with more than one application being used at the same time. Low pressure systems, or gravity systems, are still common on older properties in the UK, but this is still the most common system in the UK. As a general rule if you have a copper hot water tank in an airing cupboard with a cold water tank in the loft, the chances are you have a low pressure system. The pressure is dictated by how high the hot water tank is above the shower. These systems effectively use gravity to deliver the water. They generally run on 0.1-0.5 bar pressure. If you consider your shower to be at ground floor level your hot water tank would have to be 10m above floor level to create 1 bar pressure. Showers are available for these systems. You will need to buy a low pressure shower. The majority of showers will not work at this pressure level so if you have this system you need to be careful with your choice. There are still plenty available so don’t worry!! 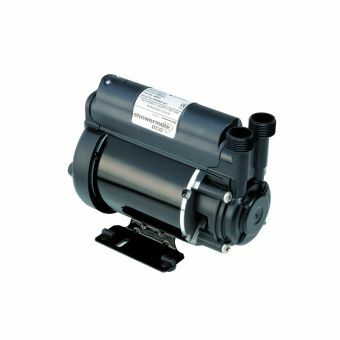 The pressure in low pressure systems can be increased by the use of a booster pump. DO NOT ADD A PUMP TO A PRESSURIZED SYSTEM WITHOUT CONSULTING ADVICE. 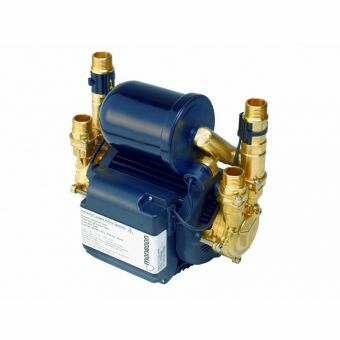 Pumps vary considerably and if you are unsure which one to get please ask. 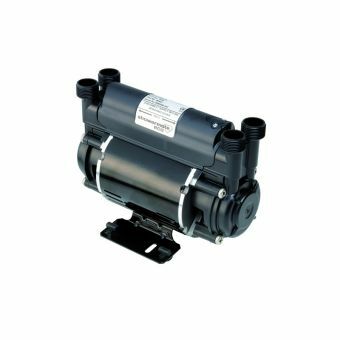 We would recommend at least a 2 bar pump for a single shower and a 3 bar pump for more applications. These can be positive or negative head and you will need to choose the correct type. Again please ask advice from us or your plumber. 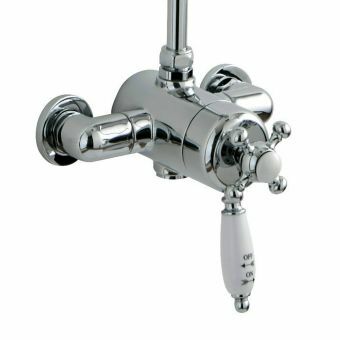 A manual shower valve may be better on your budget but you will need to adjust the control every time you use the shower to find the correct temperature. They can also be affected by other users in the house demanding hot water from another source. This can again differ with the type of hot water system you have. 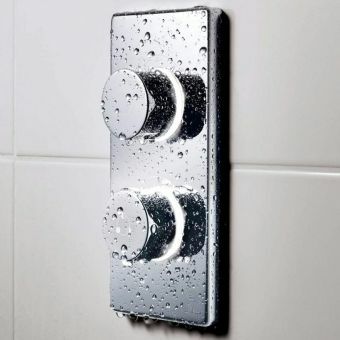 Thermostatic showers are far more common. 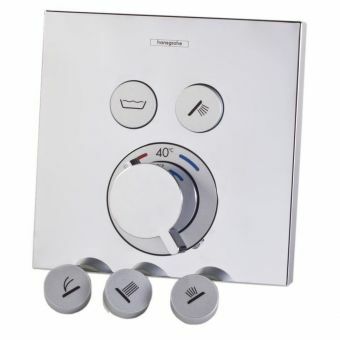 You are able to pre-set the temperature using the thermostatic control and then simply turn the shower on and off. The water will take a short time to reach the desired temperature, but once at the desired temperature it should remain there. 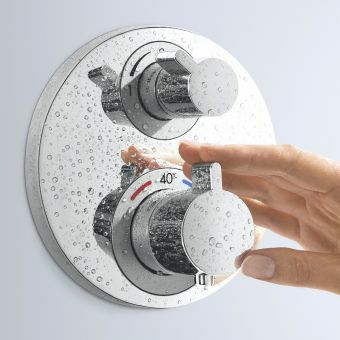 If hot or cold water flow to the shower is affected the thermostat should reduce the flow rate to maintain the temperature rather than giving you a hot or cold shower. 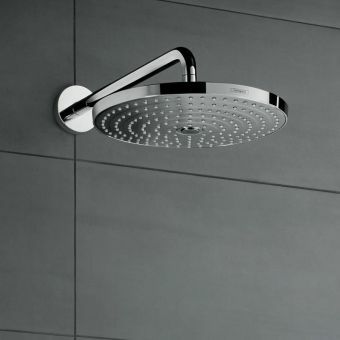 A thermostatic shower can avoid the risk of scalding hot or freezing cold water coming out of the shower. The flow rate, or the amount of water you will get out of the shower is an important consideration in how functional the shower is. The flow rate will depend on the type of hot water system you have in your home and will vary between manufacturers. 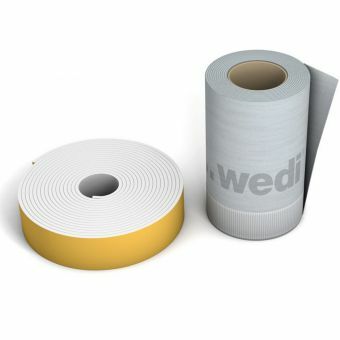 It can also be affected to a degree by the size of pipework you have installed. 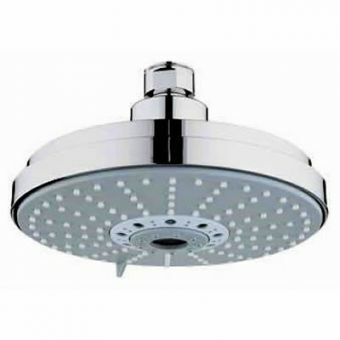 Flow rates can also be restricted by the particular shower valve and the shower head used. Manufacturers will tend to measure flow rates at 3.0 bar pressure. This then gives a general guide to the performance of the valve. The flow rate with exposed showers is generally less than that in concealed vales. They differ from around 5 litres/minute to 18 litres/minute (these figures are based on 3 bar pressure in your system). 10-12 litres/minute is around average and this will give you a good shower. 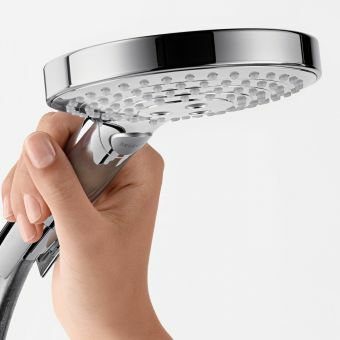 The shower head or hand shower will also affect the flow rate. 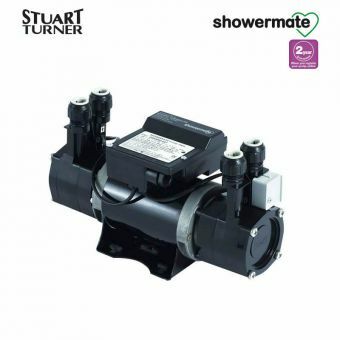 Very high performance showers can give a flow rate of up to around 46 litres/min. These are often used where multi function operations are required such as the overhead shower working at the same time as the body jets etc. 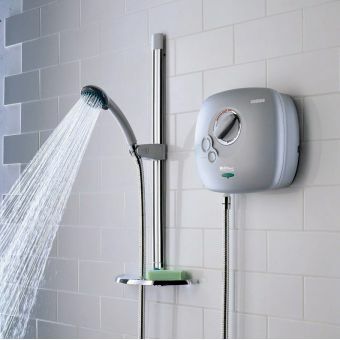 Care must be taken that the system in your home can provide enough hot water to meet the demand and that the drainage in the shower is suitable. 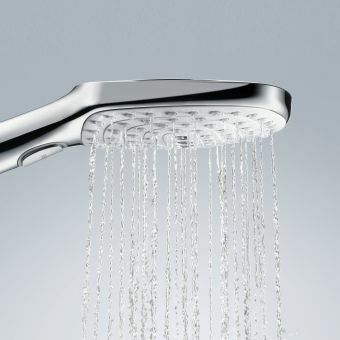 Many eco showers are available to meet the demands of Building regulations and water conservation. Part G of Building regulations can be a little complex but in general the shower is restricted to a maximum of 9 litres/minute from either the valve or the shower head. These are as the description. 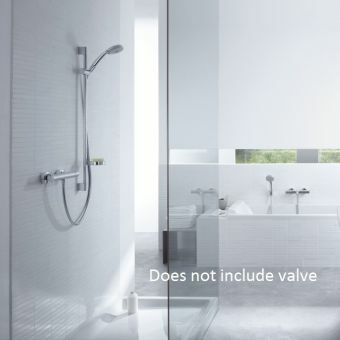 The shower valve is exposed or fitted to the tile or finished surface. Another common name is a bar shower, although this more often relates to a more modern shower. Traditional exposed showers tend to be more of a block with the hot and cold feed coming in from the sides. 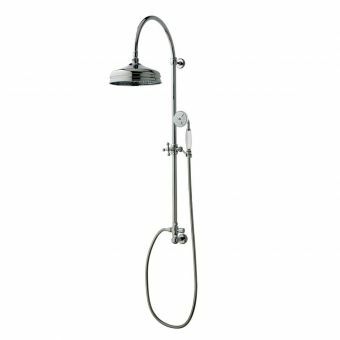 The whole body of the shower is generally chrome plated, although other finishes are available. The pipework or the hose is attached to the valve body and is also exposed. Certain exceptions do apply with more designer end products, but in general you will see all the pipework. This can actually add to the general aesthetics of the shower. Exposed valves are generally a lower cost and are easier to fit. The main copper pipes are installed in the wall, the hot and cold feed. They are normally brought out from the wall at 150mm centres (please check this as it can differ). The tile or shower wall finished is then completed and the valve and shower fitting are then fitted to the pre-installed pipework. 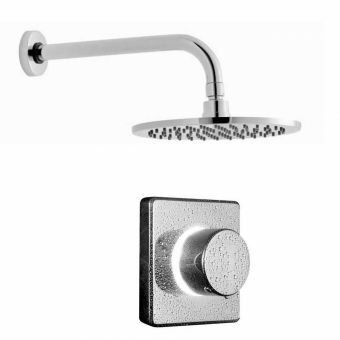 Exposed valves can be used for a single outlet shower (where only one shower head is used) or can have a diverter to provide a second outlet for a fixed and hand shower head. They can also be used as a shower bath mixer where they have a bath spout and a hose attachment for a hand shower. 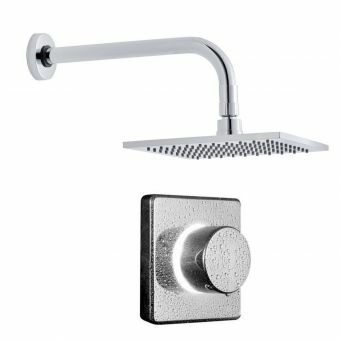 In some circumstance; often with traditional shower, a bath shower mixer can be used and then a diverter can be introduced on the exposed shower pipe to provide a bath filler, a fixed shower head and a hand shower, either on a bracket or rail kit. Here the shower valve is built into the wall. 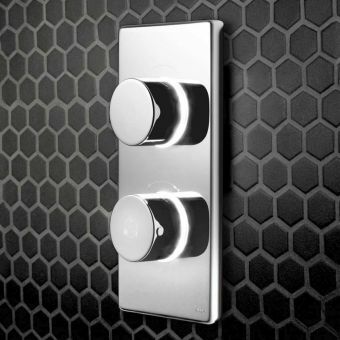 They can be manual or thermostatic. The main body of the valve is fitted into the wall where the hot and cold feed is then also connected and concealed. The mixed water feed is then brought out of the wall in position to supply the shower head. Once tiling or wall finish is complete the face plate or cover plate is then fitted to the valve body to complete the installation. 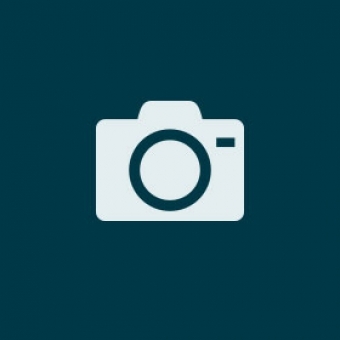 This is often considered to be a neater solution. There are not as many exposed parts to clean. Some concealed valves will have an installation box (Ibox or similar). With this system the main brass body is fitted at the end of the installation with the cover plate. 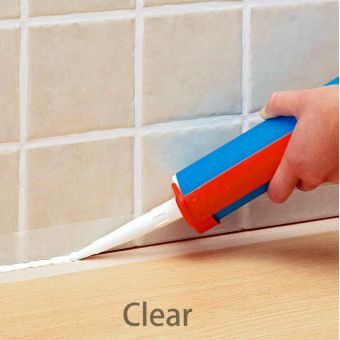 This solution can provide for easier long term maintenance as the body of the shower valve can be removed without removing the tiles, is repaired and replaced. Concealed valves will often provide a higher flow rate than exposed valves. Concealed valves can often provide more functionality than exposed. In general an exposed valve will offer a single shower outlet or two outlets. Most will provide one or two outlets where only one outlet can be used at a time. However, concealed valves can be designed to provide multiple outlets which can be open at the same time. These can get quite complex and you should seek advice so that the correct configuration is achieved. This is where you will find everything you need to complete your shower such as elbows on the walls, shower hoses and shower seats and benches.